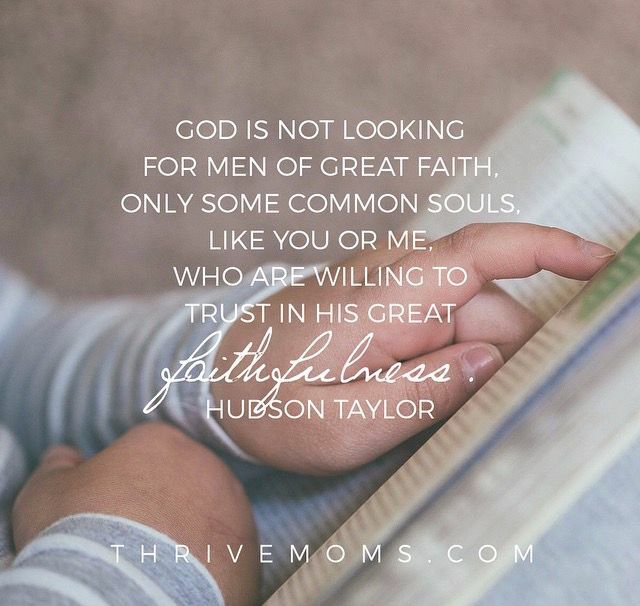 Today, I am sharing about one of my favorite yet trickiest parts of life over at ThriveMoms.com, Here’s an excerpt that I hope blesses you or someone you know! Have you ever gone months plowing through diapers and dishes, not even having the perspective or energy to consider how God might involve you in His rescue mission? Have you ever felt a nagging question mark in your heart when you’re ministering outside the home at the cost of the mission field in your own living room? It’s no secret that I love my job. I’ve spent ten years meeting with college women and sharing with them the joy of knowing Jesus and it has been 100% amazing. As much as I love the lifestyle of vocational ministry, I’m also a mom and every single week I am trying to figure out how to do the hokey pokey of motherhood + ministry. Each season is a new dance with steps to learn and discern. What does my husband need? What do my kids need? What does the ministry need? And, what in the world do I need (Besides needing a full-time house keeper, a weekly massage, and an intravenous Red Bull drip…can you relate??)? There are lots of partial solutions in this sweet season of life, plenty of hunkering down and plenty of swinging open our doors. Lots of trials, and errors, and coming to terms with the fact that if I commit to meeting with students during the precious hours my kids are at school, the scrambled eggs will still be on the kitchen floor come bedtime. If my husband is slated to preach, the social calendar will need to be frozen until further notice. Missional mommas must maintain healthy, holistic, realistic boundaries…(And, it turns out, boundaries are actually more enjoyable than they initially let on to be!). But, what I’m finding is that this is more than a scheduling issue. For me, this is a heart issue. Motherhood is ministry, and it’s my fierce passion. But sometimes it’s easier (and more fun) for me to overwork “out there” because there is a clear-cut clock to punch and box to check. It’s measurable and it’s gratifying (Interestingly enough, oftentimes, I’m actually a sweeter, more intentional mom for my kids after I’ve spent time ministering outside the home!). Then again, there are times when I neglect the mission of ministry because it’s far simpler for me to zone out and troll around at home than it is to check in with the soul of another. On both sides of my treasured motherhood + ministry coin there is an issue of fear; and that fear is rooted in a false view of God. My workaholic heart fails to believe that God is big enough and strong enough to do all the things needed to sustain “my” family and “my” ministry; and instead, believes He is clearly dependent upon “my quality performance.” Meanwhile, my disengaged heart fears that my casual comfort is far greater (and safer, tidier, and more relaxing) than the place God is calling. Neither place of unbelief produces the Spirit-led ability to work heartily as unto the Lord while being still and knowing that He is God. Neither side truly believes that He will be exalted among the nations through the good works He has prepared in advance for us to do. Hey There! My name is Ally and I blog at http://www.youaremoreblog.com & I read your post on Thrive Moms and have been completely blessed by it. I have probably gone back and re-read it a dozen times. I’ve even read it to my husband. See, my husband is a kid’s pastor and in addition to being a pastor’s wife, I work a few hours a week in the same ministry. I am blessed to be allowed to work from home and then I pull hours during service times. I just had my second baby and have so felt this tug back and forth on wondering can I do both? Can I be a mom and be in ministry? Can I make sure my children don’t feel neglected because of ministry? Can I make sure they don’t despise the ministry? Etc. You know all those questions and so on. This has blessed me so much and really helped me feel like I am not alone in that struggle. It also opened my eyes to so much. I am so thankful you wrote this and shared your heart! Love this Kitty! My mom (whose father was a missionary in Norway and later a minister once they moved back to the States) always says her father’s advice was that your home is your ministry. There will be time to volunteer for everything later. A little different from your situation but I know her mom struggled with the same balance! I’m ready to see some italy pictures! I totally agree. It’s gotta start at home and then flow from there!! Love you friend. Hope you’re having a great Spring! Oh, welcome!!! I am so glad this was a blessing to you! It really is a dance that must be led by the Spirit. We are overseas for 5 weeks and I am trying to listen, flex, trust and obey! I can’t wait to check out your blog and hear more of your story. Looking forward to connecting further. P.S. YES! You can do all those things! I believe in you!!! !